Opening with a brilliant chapter involving the heist of a US Army helicopter named the Super Stallion, this novel is immediately set at a flying pace. Following the death of his good friend Jack Starbright, former employee of the MI6, 15 year old Alex Rider has left the life of a spy to start anew with a family in San Francisco. But when a mysterious email leaves him questioning Jack’s death, Alex boards a plane to Cairo and returns to the very place he witnessed Jack’s Death. Upon discovery of the name ‘Grimaldi’ scratched into the wall of Jack’s cell, Alex is ambushed by thugs, after him for the disbanding of their former employer, terrorist organisation Scorpia. After almost defeating them with clever tactic, Alex is rescued by the Egyptian State Security Service. 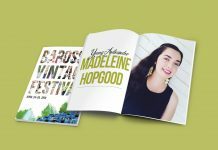 He is helped trace the origin of the mysterious email to Saint-Tropez and to relate the name ‘Grimaldi’ to two remaining members of Scorpia, Giovanni and Eduardo Grimaldi. On his arrival to Saint-Tropez, Alex is met by Mrs Jones from MI6 and told to return to San Francisco. Refusing to do so, Alex traces the Grimaldi name to a yacht named Quicksilver. Hoping to find Jack, he sneaks on board, only to find Dragana, the woman responsible for steeling the Super Stallion helicopter. Attaining the Grimaldi brother’s location, Alex infiltrates their home and learns of a planned terrorist operation involving the stolen helicopter, code named ‘steel claw’ directly before being captured. After narrowly escaping death, Alex again joins forces with MI6 and sets out to stop operation Steel Claw and all that follows, giving us some brilliant surprises along the way. Never Say Die is a fantastic spy novel to be enjoyed by male teenagers or any lover of a good spy thriller. 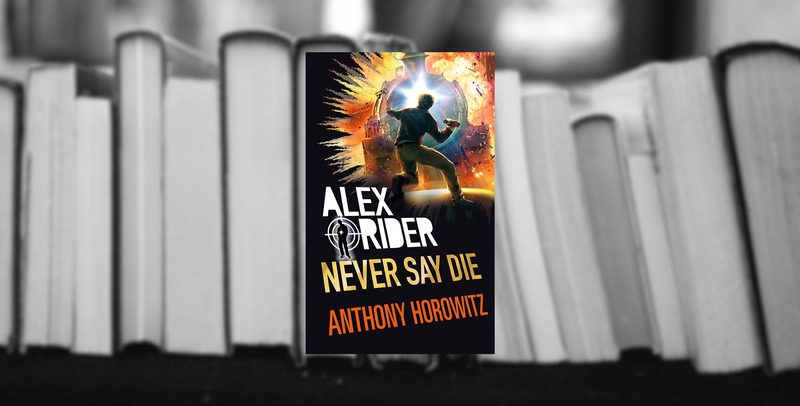 Yes, Alex Rider is a fifteen year old boy, but he achieves not with super human strength, or far-fetched abilities, but knowledge and clever tactics that will leave readers convinced without question. It actually reads very much like an Ian Fleming novel, well-paced and concise. It’s little wonder that Anthony Horowitz was commissioned by the Ian Fleming estate to write the follow up to Goldfinger “Trigger Mortis” and is now writing his second 007 novel. 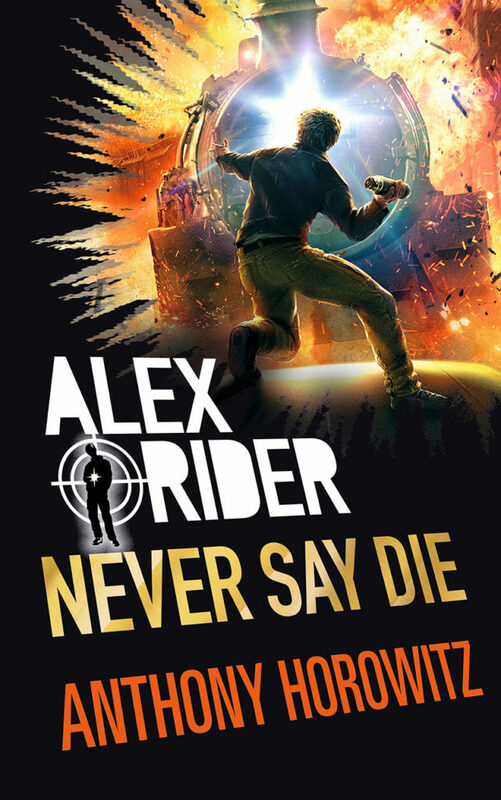 This is the eleventh novel in the Alex Rider series with the twelfth currently on its way. The first, Stormbreaker, has already been adapted to film. The rest are currently being made into a television series. 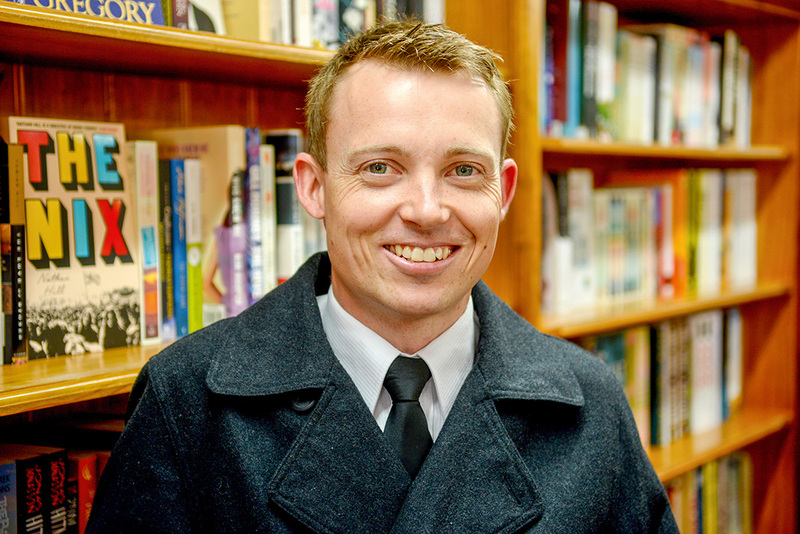 All eleven books in the series are now available from the Ravens Parlour Book Store in Tanunda.